Were you charged with resisting arrest in Toronto? Section 270 of the Criminal Code of Canada creates the separate and distinct offences of Assault Police and Assault Resisting Arrest. Both offences require proof that the officer was acting in the execution of his duty, which includes, amongst other things, the requirement that the officer use reasonable force. In other words, if the arrest or other police action is not lawful, the accused has the right to resist, and cannot be convicted of either offence. A police officer has grounds to arrest if there is an arrest warrant outstanding for the accused, if the officer witnesses a crime taking place, or the officer has reasonable and probable grounds to believe that an offence has been committed by the accused. If the police are investigating you, you have no obligation to speak to them, however, if an officer sees you committing an offence, you are required to identify yourself to the officer. 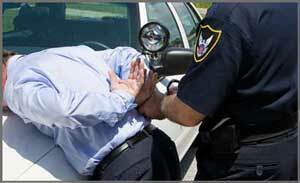 The Criminal Law Team has represented many clients who have been arrested by overzealous police officers. In some circumstances, the police are unaware of the limits of their powers to detain, investigate or arrest an accused. We recently represented a client who was charged with possession of a weapon. The charge was dismissed after we were able to establish that the officers’ racially profiled our client for investigation, and thereby did not have sufficient grounds to detain him. In another recent case, we were able to have assault police charges withdrawn in circumstances where the prosecutor was unable to produce a surveillance video of the incident, and there was a suggestion the police used excessive force. The Criminal Law Team also successfully defended a client charged with resisting arrest and assault of a security guard at a mall. The charges were withdrawn when we were able to prove that the security guard forged a trespass notice to read that our client was prohibited from entering the mall for 20 years, when, in fact, he had only been prohibited from entry for 2 years. Since the allegations occurred 3 years after he was given the notice, the charges were withdrawn. In addition, by avoiding a criminal record for these charges, the client was not deported back to his native Portugal. Were you charged with Resisting Arrest and Need Legal Counsel? It is important to point out that the police have a right to detain a person for investigation where they reasonably suspect ongoing or recent criminal activity to have taken place, and they can connect the accused to a particular crime. Although, in these circumstances, the police are not allowed to search a suspect (prior to arrest) unless they have concerns for their safety, we do not suggest you resist arrest. You are best advised to be compliant, and allow the officers to search you (you do not have to empty your pockets, or admit to anything), even if you believe the police have no grounds to do so. Contact The Criminal Law Team, and we will help you to reconstruct the incident. We have extensive experience in dealing with incidents wherein our clients have been the recipients of police abuse of their powers to investigate, detain, or arrest.